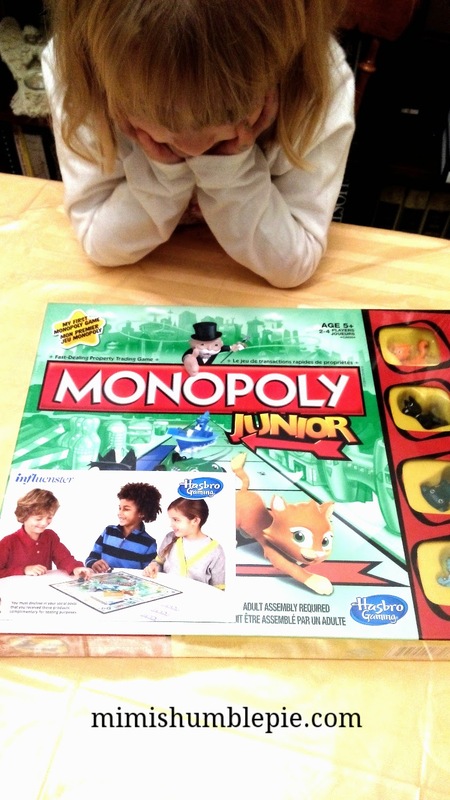 Monopoly Junior by Hasbro has been on our wishlist for a while. It arrived at our house early Monday and has been open on the dining room table ever since. The box said "Adult Assembly Required", but it only involved pressing the cardboard character tokens out of their sheets, and peeling plastic off the CHANCE cards and MONOPOLY money. My five year old did these tasks while I read the game play instructions out loud. As a fan of the original MONOPOLY game I wondered how the JUNIOR version would work. As an early childhood specialist I was thrilled with the simplicity of the game and pleased at the way math skills are promoted as well. There is only one denomination of MONOPOLY money for simple counting and the properties can be purchased for 5 MONOPOLY bills or less. Besides math skills, this game also promotes social skills like turn-taking. And cognitive skills - remembering which sequence the game players take their turns and understanding the direction of game play movement around the board is in a clockwise pattern. MONOPOLY® games have been entertaining families since 1935, and people love the roller-coaster ride to success. Pass Go, take a Chance card, and you might just build the property of your dreams...or you might end up in Jail! Whatever happens, it's fun all the way to the top! 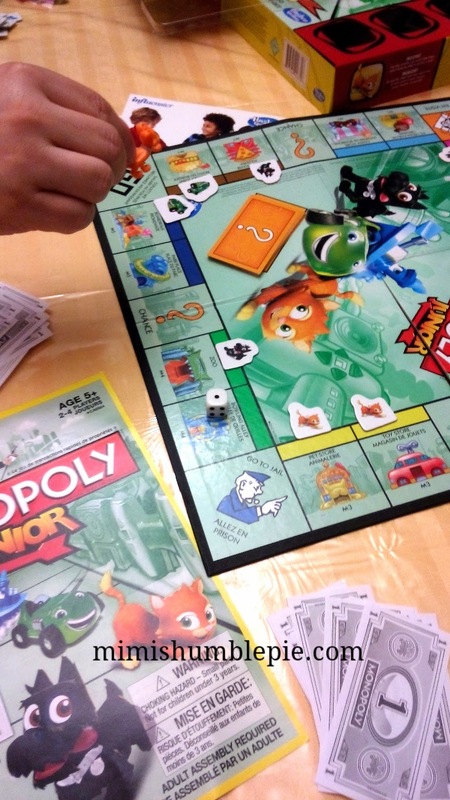 And now kids can join in the excitement with the fast and fun MONOPOLY® Junior game. Disclosure: "I received this product complimentary from Influenster for testing purposes."